THE STORY - Thrilled by his experience with the Avengers, young Peter Parker returns home to live with his Aunt May. Under the watchful eye of mentor Tony Stark, Parker starts to embrace his newfound identity as Spider-Man. He also tries to return to his normal daily routine -- distracted by thoughts of proving himself to be more than just a friendly neighborhood superhero. Peter must soon put his powers to the test when the evil Vulture emerges to threaten everything that he holds dear. THE CAST - Tom Holland, Michael Keaton, Jon Favreau, Zendaya, Donald Glover, Tyne Daly, Marisa Tomei & Robert Downey Jr. THE GOOD - It's a miracle that Spider-Man's seventh try at the silver screen succeeds as much as it does. With a tremendous amount of humor, charm and splendid work from its cast, it pulls it off with confidence, leaving us in excitement for the future. THE BAD - Action scenes are a bit hard to decipher at times. CGI is a little noticeable as well. ​It's quite extraordinary really. There is so much in "Spider-Man: Homecoming" that should not work but it manages to pull it off. 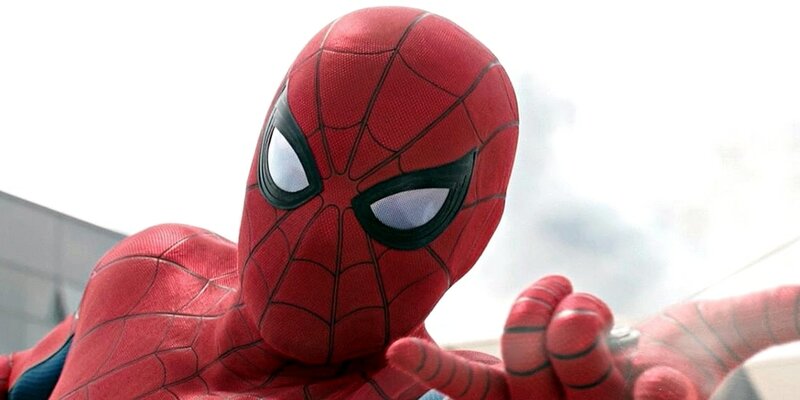 The film has to contend with discrepancies between two studios, six writers, an untested first-time blockbuster director in Jon Watts and an audience that may or may not have had their fill of the wisecracking web-slinger after what has now been seven films since 2002. "Spider-Man: Homecoming" gets so much right that after a certain point, this review may come off like I'm praising this Marvel entry as something like "Spider-Man 2." While it may not be a cinematic masterpiece like that movie was, "Spider-Man: Homecoming" instead might be the most joyful time you have at the movies all year. After he helps Tony Stark in "Captain America: Civil War," Peter Parker (Tom Holland) returns back to his quiet life in Queens New York with his Aunt May (Marisa Tomei). He cannot wait to get out of school and go fight small-time crime within his neighborhood as the internet sensation known as Spider-Man. However, Peter desires to one day fight alongside The Avengers and anxiously awaits contact from Tony Stark. Meanwhile, to make ends meat for him and his family, struggling crime boss Adrian Toomes (Michael Keaton) has been stealing alien technology since the events of the first Avengers film and selling it on the black market to other various criminals. Sporting a highly advanced bird suit which allows him to be dangerous in the air, "Vulture" poses a huge threat to the teenage Peter Parker and will stop at nothing to make sure no one stands in his way. Tom Holland reprises his role again as Spider-Man/Peter Parker after making his memorable debut in "Captain America: Civil War." He gets to lead his own film this time around and does he absolutely knock it out of the park. Holland might be the most perfect casting of Spider-Man we have had yet. From his wide-eyed gaze to his physicality, energy and amazingly giddy reactions to everything that is happening around him, this is a Spider-Man that you can really get behind. What's the secret? This time around, Peter is truly a high school kid. No offense to Tobey Maguire and Andrew Garfield, who both did an admirable job with the character, but Holland benefits from Marvel knowing how to best present the character. Making him an idealistic young kid who looks up to Tony Stark as his idol was absolutely the right way to go in giving this character something fresh, especially considering the close proximity of the other film's releases. And how does Marvel handle including the Avengers within the Spider-Man universe? Well, it's the other way around. Spider-Man is a part of the Marvel Cinematic Universe and luckily for us, he is not overshadowed by Tony Stark in his own story. Robert Downey Jr. is as always his ever reliable self. Happy gets an extended role here as the person designated to watch over Peter while Tony is off doing...Tony things. This is all kept to a minimum and mostly we focus on this young kid's life in Queens New York. We see the relationships he shares with his friends such as Ned (Jacob Batalon), Michelle (Zendaya), his Aunt May and his high school crush in Liz (Laura Harrier). However, it's Michael Keaton who comes off as the most fascinating character within this film due to the screenwriter's decision to keep the villain known as Vulture grounded and not turning him into some demonic, ultra omnipotent super villain. Vulture is a character whom many people will be able to relate to and the twist involving him in the third act is jaw-droppingly brilliant in its execution. And least I forget, "Spider-Man: Homecoming" is a tremendous amount of fun. This film has some seriously hysterical moments which seem to come non-stop. Think of it as a PG-13 "Deadpool" at times but without the vulgar, raunchy humor and instead, replace that with a sense of wonder and light-heartedness. When the title for "Spider-Man: Homecoming" was first announced I, like most people, turned my head in bewilderment and struggled to understand how this film could be a good idea. Having six screenwriters on board certainly didn't help my reservations but after having seen the film, it's shocking how much the film gets right. It's only shortcomings would be in the action scenes and visual effects which are a bit clunky at times. They're not as dazzling as what its predecessor was able to conjure up before ("Spider-Man 2" won the Oscar for Best Visual Effects in 2004) and as a result, the aerial fight sequences are not as clear as they could've been. "Spider-Man: Homecoming" is not an origin story (We didn't need another one of those). It's not overly serious. It's not overbearing in how it incorporates The Avengers into the plot. And above all else, it's not like what we have seen before. "Spider-Man: Homecoming" is simply a delight. It may not be the best "Spider-Man" film, (That title still belongs to "Spider-Man 2"). It may not be the best Marvel film there has ever been either. But for the life of me, with everything I could have seen going wrong with this movie, it is truly a miracle that it is as good as it is.